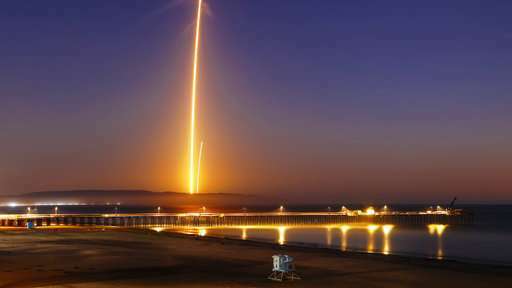 On October 7th, the first SpaceX satellite in the West Coast was successfully launched into space from Calfornia. The Falcon 9 rocket took Argentine satellite SAOCOM 1A into orbit from Vandenberg Air Force Base, on the coast northwest of Los Angeles. 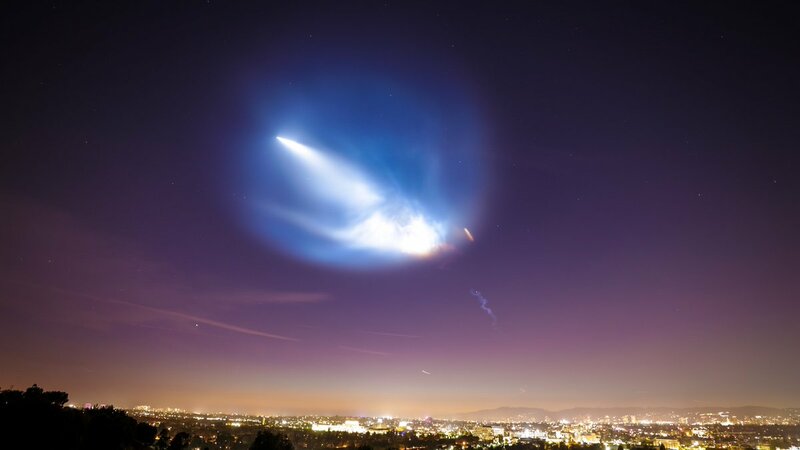 Southern California areas had the opportunity to witness the launch as it lit up the night sky. The rocket delivered the satellite into orbit about 12 minutes after liftoff from the base, taking off at about 19:21 local time (02:21 GMT), the first stage of the rocket returned safely to the air base about eight minutes later. The stunning images were able to capture the Falcon 9 Rocket separating from the spacecraft. Argentina’s satellite will be used to track natural disasters, crop yields, and soil moisture levels from 385 miles above the Earth. This information will directly benefit the agriculture industry, which has a significant impact on the state of the economy. Crop yields will be able to increase with the new availability of information, and the government states, “The radar antennae technology will allow Argentina to access a real-time ‘water map,” almost unique in the world, which will allow for prediction of harvest yields, floods, and droughts.” With Argentina’s currently struggling economy, this satellite poses new hopes for the country and their large agriculture industry. Another notable factor of this launch was the utilization of reusable rockets, which SpaceX created to attract buyers and save costs. CNBC reports, “It is the first time NASA has approved such a mission and the fourth time SpaceX has launched with what it says is a “flight proven” booster.” This new invention makes the industry more sustainable and of course, it gives an undeniable boost to the environment. SpaceX states, “SpaceX’s Falcon 9 rocket currently carries a list price of about $54 million. However, the cost of fuel for each flight is only around $200,000—about 0.4% of the total. The majority of the launch cost comes from building the rocket, which flies only once. Compare that to a commercial airliner. Each new plane costs about the same as Falcon 9 but can fly multiple times per day, and conduct tens of thousands of flights over its lifetime. Following the commercial model, a rapidly reusable space launch vehicle could reduce the cost of reaching Earth orbit by a hundredfold.” While space science and access is no cheap endeavor, the benefits gained are no doubt worth the time and money. In an ever developing world, scientific breakthroughs such as this launch continue to aid in the modernizing and growth of human knowledge.